For more than 50 years, Chester H. Loveland was an outstanding leader and pioneer in the fields of engineering and business. Following college he was employed briefly as an engineer with the Big Four Railroad and the Northern Pacific Railroad. In 1914, he joined the California Railroad Commission, the predecessor of the California Public Utilities Commission, as chief hydraulic engineer. 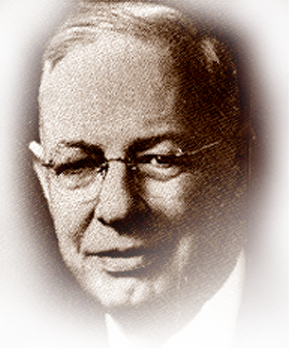 In 1921, he left the Railroad Commission and organized his own consulting engineering firm known as Loveland Engineering, Inc., which handled appraisals and rate cases in many western states, Mexico and Alaska. Loveland became interested in the operation of water and telephone utilities. As a result, the firm was reorganized into Western Utilities Corp. for the purpose of purchasing various utility properties. The properties purchased were organized into three subsidiary companies: West Coast Telephone Company, California Water & Telephone Company and the Southwestern States Telephone Company. He was elected chairman of the board and president of these three companies and served for more than 30 years. He was a builder of companies and the development of these three companies was a highlight of organizational growth at that time, setting a pattern for other Independent telephone holding companies. In 1964, when these companies merged with General Telephone & Electric Corp., they served 635,000 telephones in seven states. In addition to his accomplishments, he was dedicated to furthering the aims of education and his fellow men. He died in 1967.